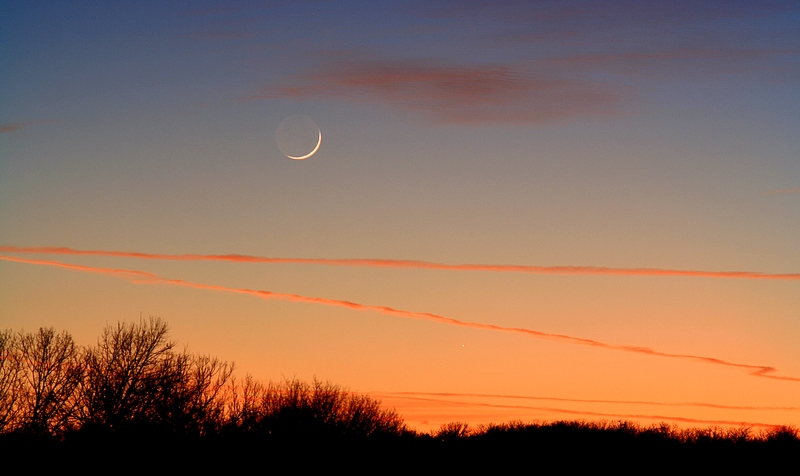 Explanation: This colorful view of the western sky at sunset features last Wednesday's slender crescent Moon. 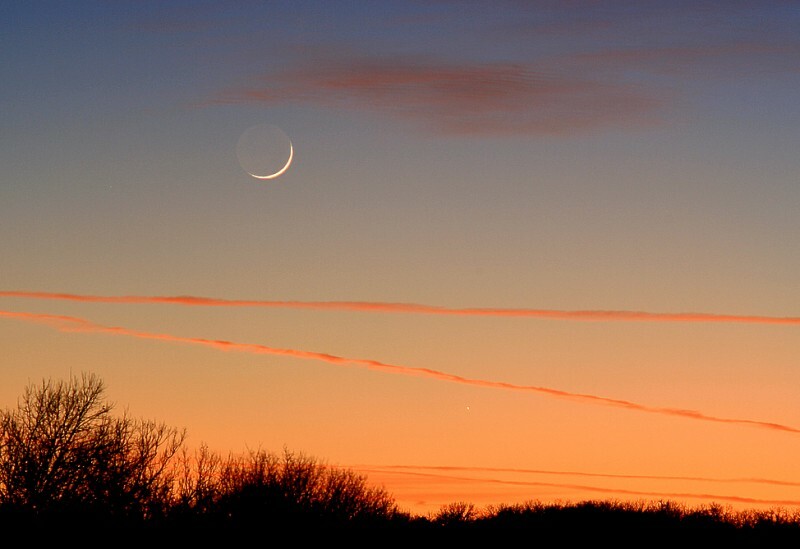 Of course, when the Moon is in its crescent phase it can never be far from the Sun in the sky. Also always close to the Sun in Earth's sky is innermost planet Mercury, seen here below and right of center against the bright orange glow along the horizon. Mercury is usually difficult to glimpse because of overwhelming sunlight, but increasingly better views of the small planet after sunset will be possible as it wanders farther east of the Sun in the coming days. On January 14th, NASA's MESSENGER spacecraft will have a good view too, as it makes its first Mercury flyby.